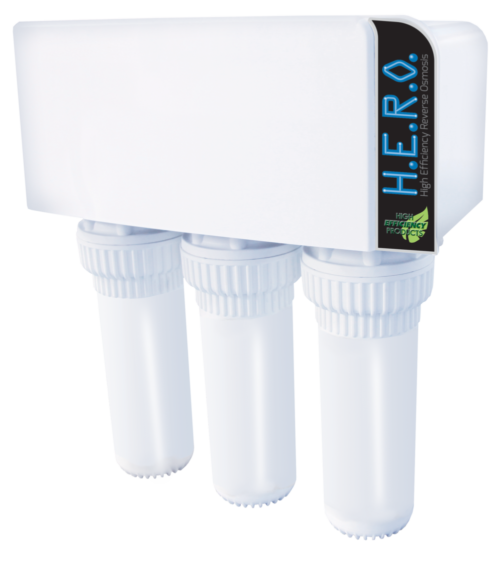 Removes 95 to 98% of Total Dissolved Solids From Your Home's Water! Our H.E.R.O.™ High Efficiency Reverse Osmosis System provides the most convenient and economical solution for drinking water in your home. It purifies your water with virtually no waste with an over 99.9% recovery rate. Comparable systems typically waste 4-12 gallons for every gallon of RO water produced. This reverse osmosis system makes your water safe and taste great at a fraction of the cost of other systems. Pets and plants love it too!